Often newspapers report news about labor unions, the occasional labor stike, and labor negotiations about wages and working conditions with companies. This processs is called collective bargainging.....an example would be the year 2010.....March/April collective bargaining processes with British Airways employees (many other examples are provivded by other groups /collectives that participate in the Carl Jung collective unconsciousness LAB RESEARCH on Earth Lab with experimental human specimens). By Sandro Botticelli (1480 ou 1495). According to Carl Gustav Jung, hell represents, among every culture, the disturbing aspect of the collective unconscious. The collective unconscious was expressed through 'archetypes', universal thought-forms or mental images that influenced an individual's feelings and action. The EARTH is a laboratory of Nature.....with many human subset species involved in various stages of symbolic brain evolution. This process was explained by Lewis Carroll around year 1865....with his Alice stories ....a style of writing to explain very serious matters...such as the human guinea-pig experiments....reference in "WHO Stole the Tarts". In year 1872, Herbert Spencer provided more clues....as did several others...such as Russell and Whitehead in year 1910. 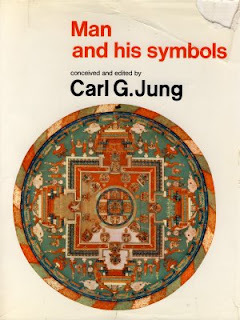 Carl Jung theories involved the collective unconsciousness, dreams and myths, and symbols and man. an independent individual who relies upon math and empirical data to build an accurate explanation of a process that exists of EARTH LAB. Physics,chemistry, genetics, etc...have used serious techniques to explain the atomic and molecular structures of plastics, medicines, etc. However, a VOID exists in atomic social psychology research of the human atomic brain. This intellectual VOID is deliberately planned SECRET VOID used by university collectives to manipulate and distort the SOCIAL CONTRACT with Nature as researched by John Locke, David Hume, and others. The existence of the intellectual VOID about an puzzling situations .....whose explanation can be found amongst high school senior level books.... or freshman college textbooks in genetics, math, humanities, history, English, etc. ...is the VOID'S self-confession of a cover-up. The explanation/answer is arrived at upon completion of an intellectual PUZZLE posed by NATURE. The many pieces of the puzzle are to be found amongst the various textbooks, along with personal work and social experiences, newspaper and television messages, music lyrics, etc. Thus the 500 pieces ........many months of of serious thought and pondering....provide some amazing revealations about oneself and society. - the symbolic uranium nuclear family under the auspices of Margaret Mead anthropology. Thus the Margaret Mead nuclear anthropology studies of the periodic atomic table ....which in year 2011 is expressable by such concepts as: the human atomic brain, atomic social psychology, atomic political science, atomic economics, atomic social engineering policy,etc. Such important matters are ignored ..hence the SCIENCE WARS and their casualties. a shot-gun approach that has resulted at the shootings: Cole Hall, Virginia Tech, Columbine High School, etc. 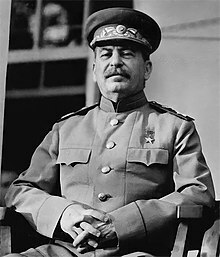 Thus we see history repeat itself. --> today, the college campus is a collective of students; the Carl Jung collective unconscious WAR Zone ...with shootings at Virginia Tech,etc. No attempts are made by universities, governments, or companies to undertand the situation. The newspapers report the surface veneer of the school tragedies; their facts are accurate (time, place, who was shot, etc.) ...but their explanations are incomplete regarding the deeper causes. So why the code of silence about the Carl Jung secret experiments? George Orwell (book 1984 Big Brother etc.) and Aldous Huxley (Brave New World) provide CLUES ..best explained by CLIFF Notes (or equivalent publisher). --> the UN group in New York City.....a world-wide collective (United Nations of brain levels) gathered to study THEIR .....UNconcious MIND. However, their difficulty is they are so deeply unconscious....they haven't been able to emerge from that level...so perhaps some HELP is needed to lift their minds up. ....with the dormitory DORMANT student brain ..
....and the George Orwell OCEANIA battle in Oceanagraphy Class at Cole Hall, NIL, DeKalb and repeated tragic message...orginal message with the U.S.Navy and their National Science Foundation PSSC ripple tank/water tank.... physics wave experiments with the U.S.S.Cole and an ocean...OCEANIA and Book 1984 project plan errors ignored by WASHINGTON, D.C. and their exclusive monopoly on intellectual understanding of EARTH LAB. the Coma airlines message of the COMAIR tragedy of Base 16 the curse/hex of the HEX'FAA". .............Region...AF.ghanistan data processing ...British computer science war. Universities deny the existence of such possiblilities....despite the abundance of data regarding the war situation. University students ought pay attention to reality..........instead of music and other distractions..
Dr.Watson explains the Penn State chemistry department experimental trial of Avogadro's number with Jerry Sandusky and the Sherlock Holmes undercover agent for the Red-Headed League. Dr.Watson in the optical nerve language MILITARY meets the FCC and the light bulb optics WAR. Sherlock Holmes, Professor Nick Manton of Cambridge University, and Mike McQueary of the Red Headed League explain Penn State and the SKYrmions war ZONE.